Fertilizer is an indispensable material when it comes to farming, even for growing plants in pots or gardens, we use different kind of manure. And it is about a large expanse of land, where you are farming for earning money, you have to use the best quality fertilizers at any cost. That’s why, our farmers need to rely on the agriculture apps which make these products available directly from the manufactures, which means there are no middlemen in between. When there are no middlemen the cost of things automatically come down, it is actually those intermediaries for whom farmers have to pay more. They also get underpaid whenever some beneficial scheme is announced for them. With the help of agri apps, we can eliminate all of the middlemen and give our farmers all products they need at a very lesser cost. This could be achieved only with these apps which will bridge the gap between companies and consumers. Our farmers had to bear high prices of every farming material from seeds, to pesticides and everything else that they need. Now, with the help of these apps, farmers can order many things at a very reduced price, they have brought relief into their lives. We all know the benefits of e-commerce, we get things at our convenience, at the price we want and we also receive at the place we reside. With these agriculture apps, our farmers are also getting the same advantages. It doesn’t matter how distant is the place where they live, these apps have acquired widespread reach in India. To buy fertilizers online India, you have to use these platforms and then only, you can get the best products. You also need to choose the app carefully, there is now a great number of such apps, you need to read their reviews and then only download them. Farm Key is one such app which gives you great options for buying any kind of farming material. Even for fertilizers online India, it is the best destination for every farmer as they get the best brand at the cheapest price. This particular app has been doing a great job in the agriculture sector and giving a great service to our farmers. They can get many options in every category of products, it could be fertilizers, insecticides, seeds or anything else. Using this app, farmers can ensure that the result of the efforts is in their favor. This app is the best way to ensure that you get maximum price for your harvest no matter which market you are selling it in. Farming is an occupation which requires a boost and that could be given through this app, it gives our farmers nothing but advantages. Agriculture will not be a painstaking process if farmers do it with this app, it will be thoroughly enjoyed. There are also other benefits such as discounts and bonuses that users of this app can easily ensure. With this app, they can ensure unlimited advantages and can also ensure that every season they get a wholesome crop no matter what they grow. Fertilizer is probably the most widely used thing in farming or even in gardening that we do at home. Fertilizers are available in natural and synthetic variants, they are applied to plant tissues or soils for the better growth of plant. They enhance the growth of plants by modifying aeration or water retention of soil with macronutrients such as Nitrogen, Phosphorus and Potassium, they are also secondary macronutrients and micronutrients in them. Sulfur, calcium and magnesium are the secondary macronutrients and micronutrients are copper, manganese, boron, vanadium, silicon, cobalt, zinc, molybdenum and iron. All these nutrients provide a healthy life to plant and expedite their growth. Today, a large number of fertilizers are manufactured in factories which are used by farmer across the globe, Indian farmers are also using industry-made fertilizers here. Buy fertilizers online India from Farm Key agriculture app which provides only the best to our farmers so can excel in every kind of crop. Fertilizers are a great help in achieving that and keeping this in mind, the app provides access to the biggest brands such as BASF, Folibor, Chamatkar, Lihocin and Race Max. Using these valuable products, our farmers will be able to take the level of production very high and will also earn greatly. Farm Key helps our farmers achieve what they have always wanted, it gives them the best fertilizers online India. These products will help farmers circumvent all the hurdles that prevent them from growing satisfactory crop. And the effort is actually exceed the level and get more than satisfactory growth in the fields. Through the products available on this app, it is indeed possible to attain the results that were never possible earlier. No other app gives so many advantages as Farm Key does, this app brings cutting-edge right into our Indian fields. Not only it makes all of this possible, it also doles out the other benefits which you get out of every e-commerce platform. That’s why, this app becomes the favorite app for farmers, which gives them so many options right through their phones, it is truly a revolution for Indian agriculture and our farmers as well. Our farmers will earn huge profits by using this app, it gives them many more benefits that did not fathom. Fertilizer itself is a very supportive substance for farming, coupled with Farm Key, it becomes more useful for farmers. This app opens the gates from which unlimited advantages flow in precipice to our farmers. If Indian farmers start using this app, they will never see a bad season when the crops disappoint them greatly. Farm Key is a app which has been created for making Indian agriculture better in every way and it has succeeded in doing so. Not only farmers but all the other participants in farming will get benefitted through this app. Use this app to get great benefits and also tell your friends to download this app, it would give them access to an array of the best farming material. With this app, the future of farming is in safe hands. Watermelon is a vine-like flowering plant which originated in West Africa, it belongs to the Cucurbitaceae family. It is divided into two categories which are watermelons and citron melons. It is widely consumed in summer season and used hugely in fruit salads everywhere. The earliest traces of watermelon are found in Ancient Egypt in the Pharaoh tombs. They are mostly found with black seeds and eaten raw without the rind. However, there are other varieties available of this fruit without seeds their rind is also edible after cooking. 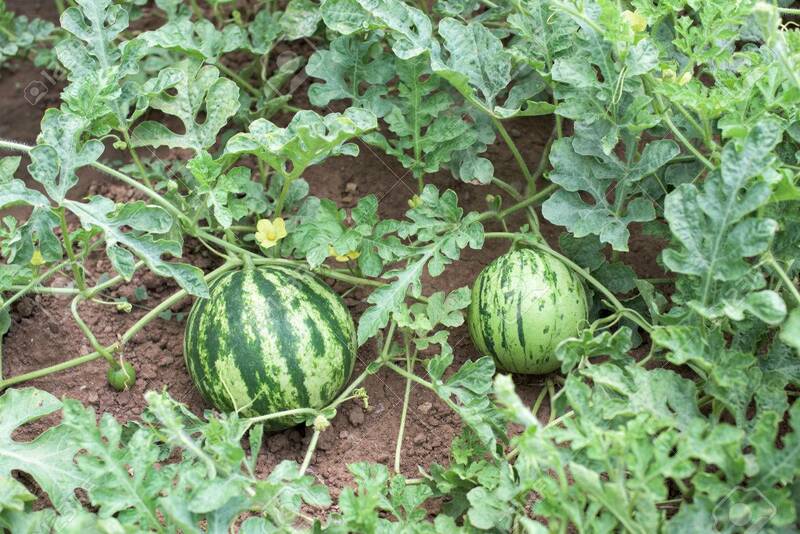 To get the best watermelon seeds buy online from the agriculture app Farm Key which makes the best suppliers available for you. Nunhems, Takii, Maxx, Namdhari, Kohinoor and Madhav are the top suppliers of watermelon in India and they all sell the best quality products that are scientifically processed on this application. Buy watermelon seeds from this app and you’ll get the crop which would give you great value. It is a plant that grows annually and has long stems that are upto 10 ft tall. Leaves are very hair and get rough when they get old with branching tendrils. Another unique attribute of this fruit its flowers are unisexual with all the styles united into just a single column. The fruits’ shapes vary and the largest ones could go upto 8 inch in diameter. In India, Watermelon seed online shopping is now very common as it is vastly consumed throughout the country. It is grown in tropical and subtropical areas with temperatures as high as 25 degree Celsius or 77 degree Fahrenheit. With medium levels of nitrogen and pH, it is generally sown in pots under cover and transplanted later into the fields, through this, farmers also save the fruit from various vicious pests. If you want to get Watermelon seeds buy online from Farm Key only because only this app gives 100% surety of quality products. Using the seeds available on this app ensures that you get nothing but the best and you don’t have to go through all the hassles for saving the crop from pests. Just by using the seeds from this app, you can ensure that your crop gets never destroyed and you even get a wholesome and profitable yield. Grafting is a very popular method used by farmers for the prevention of pests in water melon. If you use you the brands suggested in this app, you won’t have to go through all for the plantation of this fruit. As compared to other melons, watermelons have a longer period for growing and it often takes approximately 85 days for the fruit to get mature. Its seeds are also used in Indian cuisine as a condiment in many dishes. Farm Key makes sure that you get the best watermelon seeds which could help you increase your crop and consequently your profits. It is a seasonal cash crop which has a high value in markets, by growing it you can earn great amount of money. So buy the best watermelon seeds right now from this app and start growing this fruit. By this summer, you will be able to generate huge quantum of yield and money as well. Radish is a seasonal vegetable which becomes available in winters, it is an edible root vegetable which belongs to the Brassicaceae family. This vegetable is grown everywhere in the world and is mostly eaten raw in the form of salad. In India, it is available in two varieties and both of them are eaten throughout the country. They both are pungent in taste and known for their health benefits, thus widely consumed worldwide. If you want to buy radish seeds online, then do it from Farm Key which makes the best seed suppliers of India available for you. Syngenta and East West are the most common and reliable seed suppliers in the country who have served our farmers with the best products. With these products, you can get the best yield and earn great value in the market without any issues, these seeds get you numerous advantages as well. To buy radish seeds online, you just need to download the Farm Key agriculture app and everything else is easy as pie. With this app, you can make the best use of resources that are now accessible to farmers. It is the best place where you can explore different options. It is your gateway to endless possibilities and therefore, through this, you can bring fruition to all those chances which are way brighter with this app. Get the best radish seeds online India on this app and get overwhelmed with the yield. It gives you the best possible options for you with which farmers can excel in their farming in every manner. This is the best way possible to get top quality seeds at reasonable rate and going beyond the norms. This app gives our farmers a go-ahead in every move and encourages them to grow whatever they want with best outcome. With good quality radish, you can achieve what you have never imagined before, you can get highest price and earn great. No other app can give you such a good quality seed that you can get from this one. It makes you turn your dreams into reality and does the best to attain achievable results. By using this app, users can ensure that they get to choose only the best out of a wide array of products availed to make farmers gain profit. This app is a result of great efforts made for turning agriculture into a lucrative job and it succeeds in doing that without a failure. Farm Key doles out benefits in a way that has never been done before, this app is the next big thing for Indian farmers. With this app, the usability and results of farming gets doubled. It changes the whole scenario and does everything good for farmers, it gives best benefits to agriculture. Farm Key is not just an app, it is an endeavor to make Indian farming more beneficial for every farmer. Using this app, it becomes very easy for everyone to adapt farming and reap the greatest profits. This app does a great job in distributing seeds and other farm material such as pesticides and fertilizers. Online seed shopping would be an all new experience and it would give the best benefits to everyone who does it. An okra or ladies’ finger which is called ‘Bhindi’ in Hindi is a flowering plant in the mallow family with its edible green seed pods. Its origin is unknown but people from West Africa, South Asia and Ethiopia claim it. It grows in tropical and subtropical regions that are generally warm. It is a perennial plant and can be grown annually, hence, many farmers can opt for it and it has also become easy to buy okra seeds online. If you want to get okra seeds, buy online from Farm Key app, which gives you the best of the seeds available worldwide. This vegetable is cooked in all over India and it always remains in demand. If farmers grow this vegetable with the seeds available on this app, then will be highly benefitted. This app makes a superior effort in bringing quality seeds to our farmers and succeeds in doing that, which also makes agriculture very easy. Some of the best seed providers supply their products on Farm Key, Mahyco, Rasi, Sahiba and Seminis are the top brands in India for okra seeds. Okra seeds companies in India are trying to provide the best farming material to our farmers and this app makes their effort bring fruition. This is a platform which makes every effort to upscale the earning of our farmers and does it extraordinary products that give best results. There are various other seed providers in India, but only Farm Key proves to be the best. It gives the best quality seeds and makes it available every farmer in the country very easily. Buy okra seeds online from this app and get the best crop which would get you the highest price in market. Since it is a perennial crop, you can grow it throughout the year and sell it everywhere, in our country, it is consumed in every household. With high demand in market, this vegetable does an excellent job in getting farmers more income. If farmers keep on growing this vegetable, they will keep getting best prices and will carry on with many benefits. If they buy okra seeds online India, they must get it from Farm Key, as it provides the most genuine products with fantastic results. This app helps them achieve great results with fewer efforts every time. It is one of those vegetables which are eaten the whole year and there are various types of dishes that are prepared with Okra. It can be eaten as snack as well apart from the sautéed and curried recipes that are prepared throughout the country. This vegetable allows you to do many experiments that you can never try with any other. It gives you the freedom to cut it or prepare it with stuffed spices and both taste delicious. Farm Key is the app which empowers our farmers to select the best for their fields. This app does not only makes efforts, it also bears result that are effective and lucrative for our farmers. It is the best thing that has happened to Indian farmers ever, with the help of technology, this app is making the dreams of farmers come true. Through quality products, it helps farmers gain extremely big profits without any shortcomings. Bottle gourd is an all season vegetable which is grown and eaten throughout the year by Indians. Due to its health benefits, it is also used for making juices which help in various ailments. Therefore, it is essential to get the best quality bottle gourd available in the market. It is one of the most cooked vegetables of India, which is also recommended by doctors, which makes its consumption really high and demand is perennially on rise. It is must that farmers get the top quality bottle gourd seeds so that they provide the best thing in the market. There are ample of seed suppliers available in India, but particularly for this vegetable, you must go for the best brands such as Anokhi, Swikar, Mahy 8 and Mahyco. This is a very valuable vegetable especially for the biggest vegan population of India, it is healthy and also cheaper as compared to other veggies. Farm Key is an agriculture app which helps you get the topnotch quality bottle gourd seeds online at very reasonable prices. This app has been designed and developed for the benefit of Indian farmers who are heavily dependent on vegetables like bottle gourd for maintaining regular income. By giving them good quality seeds at cheaper price, it helps them get more opportunities to sell in the markets at higher rates. This app helps you buy bottle gourd seeds at cheapest price with many other benefits. It allows farmers to earn profits as they are able to get the best bottle gourds. Shiny and shimmery bottle gourds with lush green tint allure you so much that you cannot help buy them. If farmers use the seeds available on this app, then they will surely earn great profits no matter which season they are producing it, the quality of vegetable will key their income steady. Calabash, white-flowered gourd, long melon, New Guinea bean and Tasmania bean are the various other names of bottle gourd. Apart from India, it is consumed almost in each part of the world in different forms. In many places, it is also dried and used as a utensil, it is found in a great variety of shapes. In India, we most get to see a long and cylindrical bottle gourds. It is widely used for making curries and also for some sweet dishes. In India, it is often cooked with channa dal (Bengal Gram) and served as a curry with rice or chapati. It is believed that bottle gourd was originated in southern Africa. However, with the long history of human migration, it travelled every continent and is now grown almost everywhere. It is one of the most ancient veggies that we have been consuming or using in different ways for thousands of years and is still a part of our food plate. Farm Key makes this amazing vegetable available to our farmers in the form of seeds that are best in quality. With the great quality seeds available on this app, farmers won’t have to worry unproductive flowers. They won’t have to employ hand pollination and other methods to ensure a healthy crop. The products available on this app assure of great yield both in terms of quality and quality, so buy these quality seeds right now. With the help of farm apps, you can easily buy agriculture products online now. These platforms are going to make the lives of our Indian farmers easier. They are providing the best farming material at a very reasonable price. Farmers were never benefitted this way before, it is a beginning of a new era for Indian agriculture. The induction of these apps has already started to show their effects, farmers are now able to get hold of valuable products. Farm key is one such app with which agriculture product online shopping has been made very easy. It works real hard to make farmers recipient of the benefits of modern technology that brings efficiency in farming. This app is able to reach the farthest places in India where even roads haven’t. And it also delivers products to every corner of this country with all the advantages that e-commerce platforms convey to their customers. Buying agriculture products online will now give out various benefits, farmers will be able to get hold of the most reliable brands such as Seminis, Mahyco, Rasi, Sungro, Nunhems, Pahuja, Takii, Namdhari, Golden and Clause are the most authentic brands for hybrid and genetically modified seeds in India. Farm Key makes all of this available to our farmers at a very reasonable price and ensures that they get benefitted through it. This app encourages agriculture product online shopping in India, with all benefits that you couldn’t imagine earlier. Farm Key has upscales the advantages of e-commerce for Indian farmers. It makes agrarian growth of our country very sharp and high with equal interests distributing to the farmers. This platform understands the plight of our farmers and makes them earn handsomely with better rate of production. Online shopping for agricultural products in India is going to bring a new era of digital revolution. It would add millions of Indian farmers in the growing of digitalization and e-commerce, generating ample of opportunities for everyone. With this combination of technology, our farmers would definitely see the utopia in their occupation and lives. It would not only ameliorate the lives of our farmers, but also increase the country’s GDP. Agriculture suppliers in India have also struggled a lot to provide quality material to the farmers. But now, they have received a platform through which they can raise a helping hand towards farmers. They have got a place from where they can enhance their reach and make profits as well. It has always been a niche market for them but it is definitely widening now and giving more options to consumers with more benefits. Farm Key lets you buy quality seeds online in India with various other benefits, it makes the best farming products accessible for farmers. This platform takes care of our farmers and puts every effort in making their income levels, it succeeds in doing that and does an extraordinary job in bringing a smile onto the faces of our farmers. With this app, the agricultural rise of this country will surely with far-reaching effect. Farm key is a farm app which lets you explore the biggest dimensions of agriculture with products that help you excel in farming. It provides the best in class seeds, fertilizers and pesticides with which the productivity of your farming would be multiplied manifold. This is an agriculture app which does much more than just providing the material, it helps the farmers get familiar with the widening world of e-commerce. It lets them take advantage of the benefits provided by this steadily growing domain. Online seed shopping is a growing firmament in India and it would connect every farmer of this country. Through this, farmers are now able to choose what is suited for them in terms of what they want to grow and how much they want to spend on it. It is a new beginning for Indian agriculture and would it much ahead than one can imagine. With the help of this app, farmers belonging to the farthest areas will be able to get hold of benefits that are right now provided to urban folks only. This app has put expeditious efforts in covering the areas which are normally ‘out of grid’ for e-commerce platforms. It has ensured that the app and its benefits reach every single farmer of the country. This platform makes sure that the best products are meted out to each farmer. A widely extensive and inclusive approach makes this app which lets farmers buy agriculture products online. It takes care of their profits and earning with the topmost priority, that’s why it reaches out to them with agriculture suppliers that are providing the best material at the lowest price. To buy quality seeds online in India is no big deal anymore with the help of Farm key, this app lets you do everything you want. If you want to buy quality seeds online in India, then you must shop seeds, pesticides and fertilizers only on Farm key. This app promotes agriculture product online shopping and gives out its benefits to every single farmers in the most accessible manner. It aims to bring ease and comfort in the lives of Indian farmers. And it succeeds in reaching out to farmers and dispensing all the advantages of e-commerce to our farmers. Online shopping for agricultural products in India was never so easy before. Farm key makes the experience of online seed shopping extremely easy for our farmers. It makes viewing the products very easy and it can easily work even with least connectivity. The app and the website, both are designed keeping in mind that buying and getting the delivery of products. With this app, farmers will lead a lucrative and happy life. Each and every season would be profitable for them and this app would be a rainmaker for them. This platform would open the doors for limitless profits for Indian farmers, it would turn their toilsome occupation into a highly remunerative job. With this app, they would see maximum profits coming their way and there would no setback for them. It is a beginning of a new era which would be celebrated to farmers nationwide. Farming could be very beneficial if it is done with the best material. Earlier, it was hard for farmers to get hold of a large variety of farming products as they were only a few stores. Moreover, they also had to visit miles away to get to those stores. Now, with the help of technological advancements, e-commerce has reached our farmers. This has given a plenty of opportunities to Indian farmers to choose from a wide variety of products. Farm key is a farm app which makes the most authentic and reliable farming products available to farmers. This app avails a melange of seeds, fertilizers and pesticides to our farmers that they can’t get in any retail store. Using the app, they can easily navigate through thousands of products and pick the one they exactly need. It gives an experience w hich also helps them getting familiar with technology. Agriculture apps have proved their usability as farmers have already started using them. This app aims to reach to take online seed shopping to the farthest corners of the nation. That’s why, the app has been developed with such specs that it would work perfectly even in the areas of least connectivity. These attributes make this app highly adaptable and feasible for our farmers. It takes the experience to a whole new level for Indian farmers. Indian is still largely dependent on agriculture for the economy and efforts must be made to strengthen the pillars of our economy. This app would expose our farmers to the world-class products that they have been devoid of. It would bring an upheaval in Indian farming with products that can make the production go really high. With Farm key, farming would be a likable occupation rather than a painstaking job with meager earning as per the popular belief. Going by the current situation of our farmers, the belief is not wrong though. But, with the help of these apps, the situation could be ameliorated which would result in better state of farmers and consequently, the economy. Indian is still largely dependent on agriculture for the economy and efforts must be made to strengthen the pillars of our economy. Unless we empower our farmers, we can’t expect a speedy development because their welfare has a significant impact on the overall growth as well. Every year government waives loans worth thousand crores which ultimately take a toll on exchequer. Waiving loans means the banks do not get paid by the farmers but the government, and this payment comes from the exchequer. This impacts the growth as that money could be used for various other developmental programs. Therefore, it is time to take firms step towards fixing these issues once and for all. Farm key provides our farmers a solution to every problem. This app not only gives them plenty of choices, it also gives them convenience of getting the things delivered at their place no matter how remote it is. With Farm key, it is now possible to envision a future where farmers will not be underprivileged anymore. It will set-off a new revolution in Indian farming.